Nursing graduates in the Bryan-College Station metropolitan area are prepared to seek positions at major local hospitals and healthcare centers. The region’s largest nursing employers are CHI St. Joseph Health Regional Hospital, Baylor Scott & White Medical Center, and College Station Medical Center. 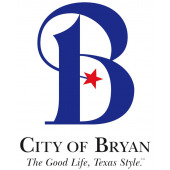 Common nursing roles in the Bryan-College Station area are certified registered nurse anesthetist (CRNA), registered nurse (RN), licensed vocational nurse (LVN), and certified nursing assistant (CNA). Depending on the role, yearly earnings can range from $23,000 for entry-level positions to $100,000 or more for senior roles. CRNAs perform one of the most complex nursing roles. They provide general anesthesia, patient-centered monitored anesthesia, or regional anesthesia in inpatient and outpatient settings. RN is an advanced role that administers treatments and medications, coordinates patient care, and educates patients about medical conditions. LVNs fill a critical frontline role with sick, injured, and convalescent patients under the supervision of RNs, surgeons, and physicians. CNAs perform routine patient care tasks like bathing patients, helping them get dressed, serving meals, and transferring them between the wheelchair and bed. CRNAs must have an advanced or terminal degree from an accredited nurse anesthesia educational program. They must also possess a valid RN license, one year of critical care experience, and a passing score on the national certification examination. RNs must hold a hospital diploma, associate’s degree, bachelor’s degree, or master’s degree, as well as a valid license to practice. LVNs must complete an accredited, state-approved certificate or associate’s degree program and pass a national licensure examination. CNAs must take a brief training program of approximately 100 hours and obtain state certification. If you’re ready to pursue one of these exciting nursing careers in the Bryan-College Station area, we’ve compiled below a list of local accredited nursing schools to kickstart your search.